When most people think of the "Mt. Everest watch," the venerable Rolex Explorer almost always comes to mind. 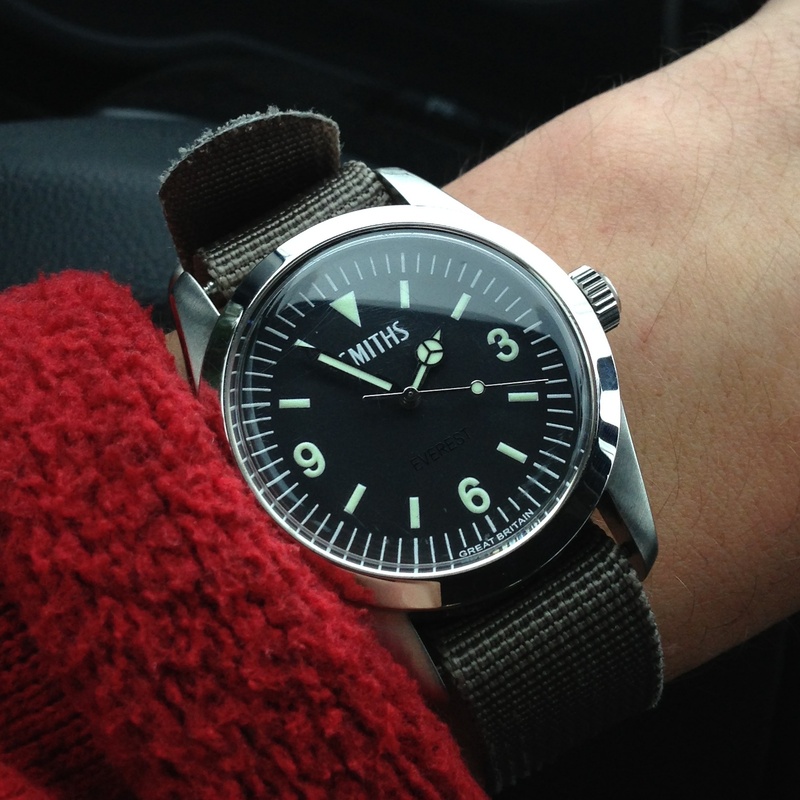 But while it's robust, iconic, and as objectively handsome as a tool watch can be, it's not actually the model that soared to 29,029 feet over the Tibetan Plateau in May 1953. That was a custom Oyster Perpetual prototype lent to Sir Edmund Hillary by Rolex for the expedition. 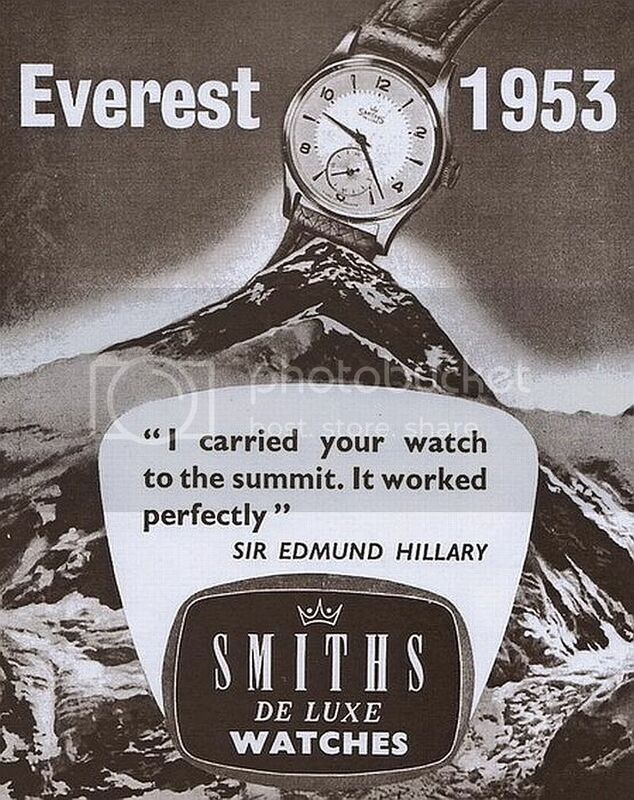 But that unique Rolex wasn't the only watch to summit that day — an English watch made the trip as well, from a brand called Smiths, and just like Rolex, they make a watch commemorating the ascent as well. Similar to Rolex, Smiths doesn't sell the original Everest model (Rolex's was never even for sale), but both brands do produce pieces celebrating the mountain's exploration, the Explorer and the Everest. With a robust case around 40 millimeters wide, similar Himalayan heritage, and classic styling with arabic numerals at all poles but north, the Smiths has quite a lot in common with the Rolex — yet manages to shave off over 90 percent of the Rolex price tag. 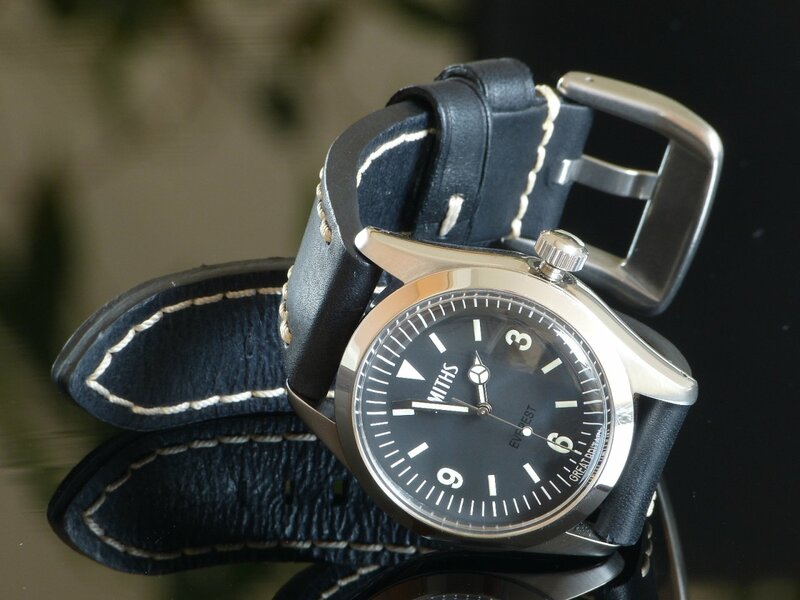 Behind its screw back is an automatic movement, made by the respectable Miyota brand, a subsidiary of Citizen. With an easy-to-read SuperLuminnova dial and hands, a classic-looking high-dome crystal, and 10 ATM water resistance, this is a tough watch worthy of its name. The Smiths Everest clearly borrows more from the above Rolex Explorer than from its own lineage — the Smiths watch on that poster doesn't resemble the present-day one — but that may not be a bad thing. You'd be hard pressed to find a better watch than an Explorer, and unlike most homages, this one has a mountaineering pedigree just as old. Ethan Wolff-Mann is Supercompressor's Gear editor. He wonders when the last Rolex summited Everest. Follow him on Twitter @ewolffmann.